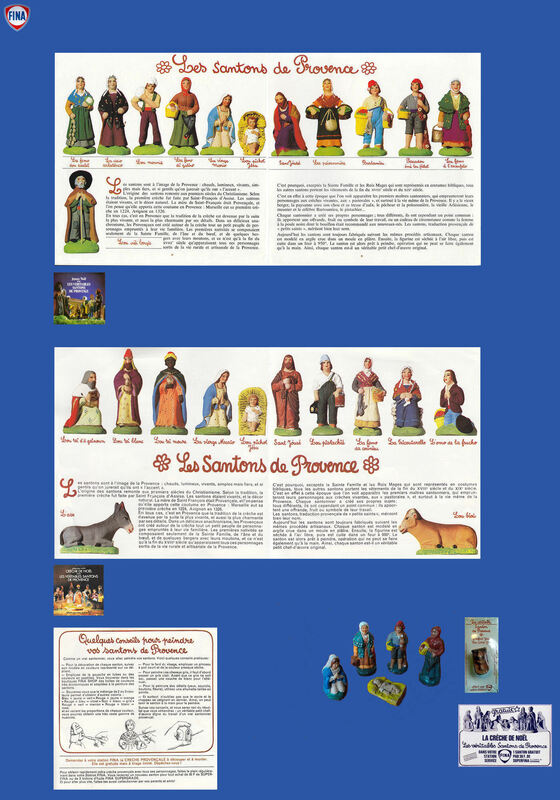 Here they are at last in full these famous Christmas crib figures from Fina. They are among 24 divided in two series and in the scale 1/32 (54mm). They date 1971 and of 1972 as indicates it an advertising in a "Journal deTintin". Contrary to the other brands, they are real Christmas crib figures in clay, created by Claude Carbonel (Santonnier Master). They were packaged in small plastic bags surrounding a small cardboard, with the name of the character in French and in Provençal language. We note that the Marie and the child Jesus are identical in both series. There is a crib to cut as indicates it the announcement below but no images for the moment.